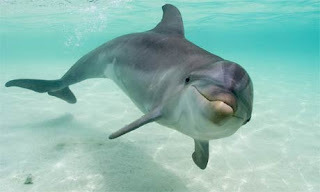 A new study, from researchers in Newcastle University, has revealed that swimming with dolphins can traumatise them. The researchers, who carried out their work on the east African island of Zanzibar, are now calling for regulation to minimise the potential long-term negative impact on the animals. They claim that dolphins spend less time feeding, socialising and resting when swimming with humans. It wasn't that long ago, however, that dolphins were hunted off the coast of Zanzibar, once threatening the numbers in the area. The researchers are still encouraging people to visit the area, but want local guides to follow guidelines and avoid potential stress to these wonderful cetaceans.